What it is, what causes it, and how to overcome it. I used to be able to do any diet, cleanse, detox, or shake program successfully. I could easily lose some extra weight pretty quickly, and then one day...I couldn't. Years of yo-yoing, unstable blood sugar and hormone issues caught up with me. I come from a family with a history of diabetes, hormone, and thyroid issues. I should have seen it coming, but I was arrogant. I thought I was healthy enough to dodge the weight gain bullet. Alas, I was not. My hysterectomy for endometriosis caused me to gain 35 pounds in 2 months, and no matter what I did, my weight would not budge. Each program would start out with a few pounds lost and then it would just stop working. I had overwhelming cravings and was depressed. Any attempt to limit calories would cause my body to lower my metabolism to meet the lowered calories leaving me feeling tired and miserable. At one point I was working out 5 or 6 days a week and seeing absolutely no weight loss. I was so frustrated. As a chiropractor with a background in nutrition, I "knew" all of the right things to do, but those things had stopped working. I had become weight loss resistant. However, I was not ready to give up. I used my knowledge and began to look at programs and found most to be lacking for women with my same hormone, blood sugar, and thyroid issues. So I began to combine them. When I finally found the right formula, it just clicked. I was able to lose 28 pounds in 2 months. My body was finally responding. I was elated. I also knew how many friends I had that had the same issue with weight loss resistance, so I started having them test the program for me, and they were all losing quickly and consistently as well. That is how IgnitePHAT was created! I blended together a combination of homeopathic support for the PHAT axis, natural vitamins, and an easy to follow food plan designed to stabilize blood sugar and decrease inflammation. My overwhelming cravings were gone and I felt full and satisfied. My body was finally responding! 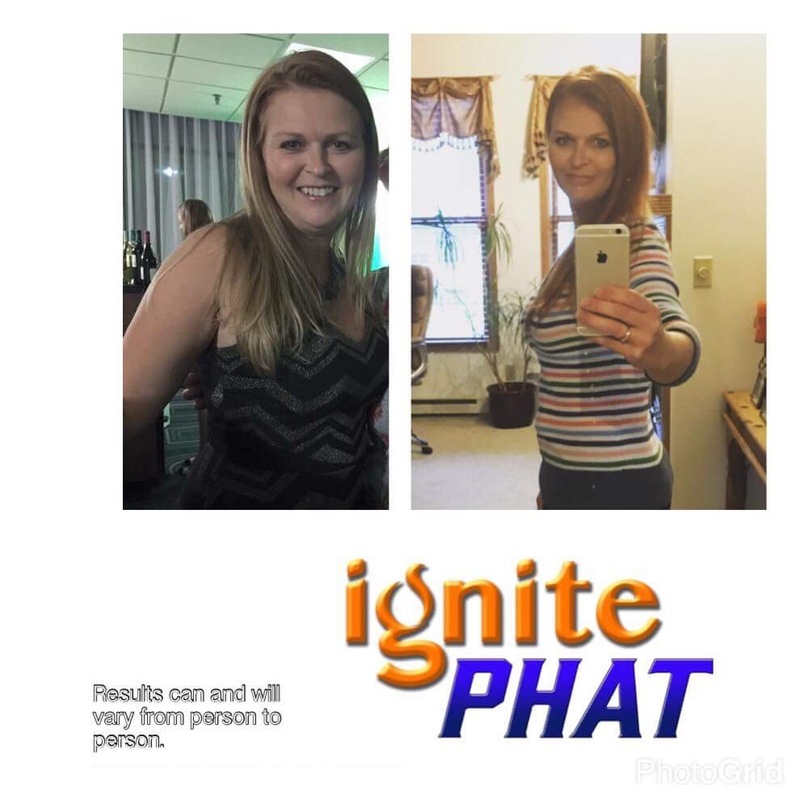 It really did work for me and I can help you too! I have also included a maintenance program to help you add back in your favorite foods to see if they work for you. Everybody is different and determining which foods cause you to gain or become inflamed helps to give you what you need to keep your weight off. 2 Comments » for Weight Loss Resistance. Now 60 lbs heavier and no diet seems to work. Hi Katie, those are the issues that this plan is designed for. PCOS tends to be complicated by insulin resistance and that makes weight loss more difficult. 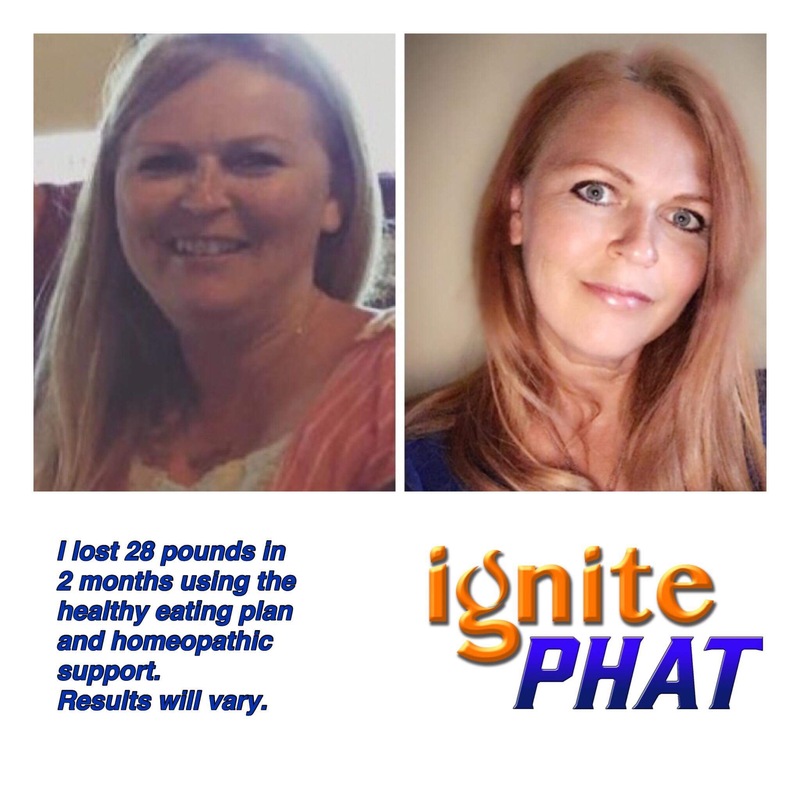 IgnitePHAT helps to stabilize blood sugar and support the glands that control it. The food plan is designed to overcome that resistance. Please let me know if you have any other questions.